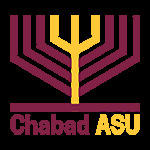 A Mezuzah is the best security system for your ASU dorm or house. A symbol of G-d's constant watch over every aspect in our world, the Mezuzah will protect you - whether at home or outside. Fill out this quick form and we'll come to your place to help you put up your new Mezuzah! What method of payment do you prefer?